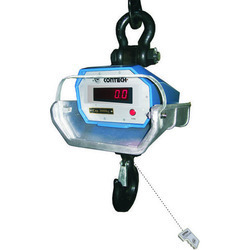 Renowned in this discipline, we are engaged in offering heavy-duty Crane Scale with Heat Insulating Shield (CCH). We develop these products by making use of high-grade basic material and components while taking into consideration requirements of the clients and industry laid parameters. Configured with advanced technology, these offered products ensure longer serviceability and accurate readings. We are the leading manufacturers and exporter of Crane Scales With Wireless Transmission and our product is made of good quality. These products are manufactured using the high-efficient basic material, sourced from the established names of the markets. Furthermore, configured with advanced technology, these products hold several attributes such as longer service life, uninterrupted function, and accurate readings. Keeping in view variegated requirements of the clients, we offer these machines in different technical specifications. We are the leading manufacturers and exporter of Heat Insulating Shield & Wireless Indicator Crane Scale and our product is made of good quality. 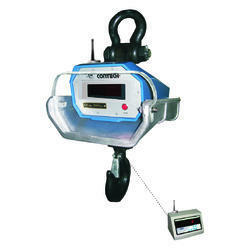 We are the leading manufacturers and exporter of Wireless Crane Scale and our product is made of good quality. 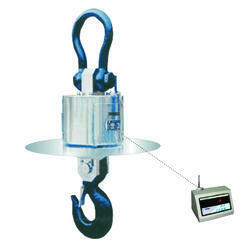 It is due to efforts of our team, we have been able to bring forth impeccable and heavy-duty Wireless Crane Scales. Our team of experts precisely design and develop these products keeping in view emerging clients' requirements and established quality parameters of the industry. 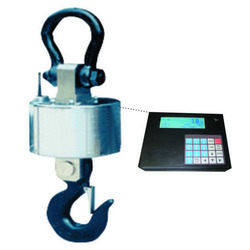 We are the leading manufacturers and exporter of Wireless Transmission Crane Scales and our product is made of good quality. 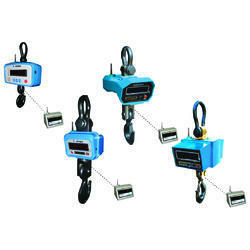 Our crane scale is available in various sizes as per customer requirements. This crane scale is manufactured utilizing supreme grade material and cutting edge technology in synchronization with set norms of quality by our professionals. In addition, offered crane scale is tested by a quality examiner on the predefined standards for dispatching a defect free range. 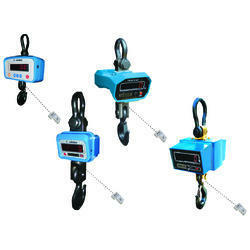 We are the leading manufacturers and exporter of Standard Crane Scales and our product is made of good quality.